Our first priority is making America a magnet for new jobs in manufacturing. After shedding jobs for more than 10 years, our manufacturers have added about 500,000 jobs over the past three. Caterpillar is bringing jobs back from Japan. Ford is bringing jobs back from Mexico. And this year, Apple will start making Macs in America again. You can watch the State of the Union address in its entirety in the video below, courtesy of The New York Times. The relevant quotation above can be heard between the 23:52 and 24:24 marks. If you can't see the video embedded above, please click here. 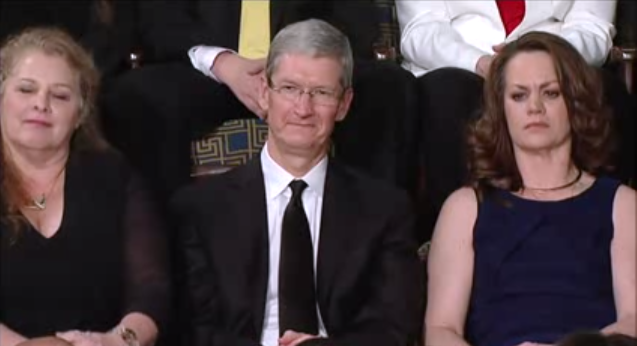 In the video, Apple CEO Tim Cook can be seen smiling in agreement after President Obama mentioned Apple. As reported yesterday, Cook was invited to attend the State of the Union address as one of first lady Michelle Obama's guests. According to a White House official, Cook was given the honor of sitting in the first lady's box since he "heads a company that underscores America's innovation economy." Prior to attending the State of the Union address, Cook gave a presentation at the Goldman Sachs Technology and Internet Conference. 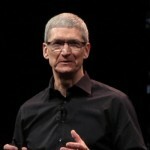 There he discussed various topics, including Apple's new executive team and the company's future.